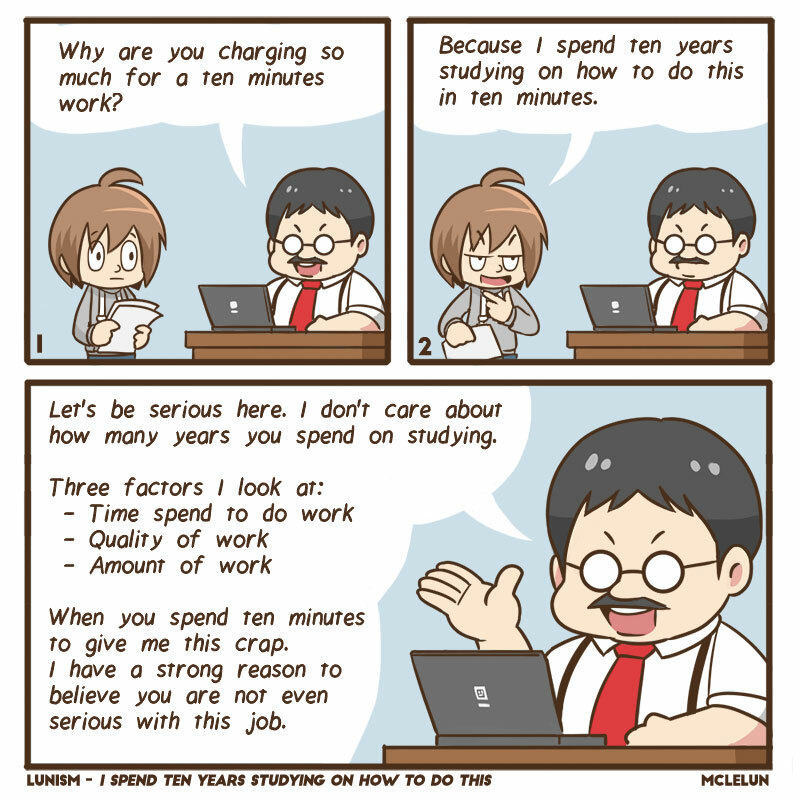 There was this famous comic talk about why you can charge more because you spend years studying on how to do it in ten minutes. I believe that is never a good reason in reality. So, I did this extended version which most probably what the client/boss will reply. When facing similar situation, I believe it is better that we explain to the client the classic equation. Fast + Good = Expensive. Telling them how long we studied is kind of unrelated with what they ask. If we look from another angle, some jobs' paid are calculate with number of working days or hours (for example our salary). So, it is not uncommon for business people to ask this question.